In an interesting turn of events, the listing proforma in the PIL filed by Shyam Narayan Chouksey, the petitioner in the national anthem case, has surfaced on social media and has become a topic among lawyers. The listing proforma is a necessary document to be filed in a set pattern for all petitions before the Supreme Court including writs, PILs, SLPs and transfer petitions. It has a rigid format with page numbering mostly as A1 and A2 and carries necessary details such as impugned judgment/order’s details, name of parties, contact details of the Advocate on Record (AOR), a checklist for women, SC/ST candidates, Central Act/Rule & State Act/Rule along with a dedicated column if the petitioner or the AOR does not or cannot get the petition listed before a particular judge. This column, if filled, has to be accompanied with a reason as to why the petition shall not be listed before that particular judge. 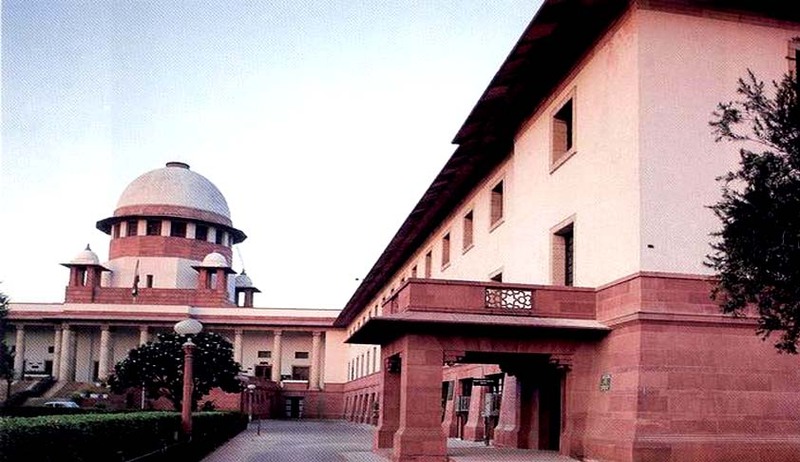 The chief reasons are if the parties are related to the judge, the judge has acted upon or appeared in that matter or a connected matter earlier, or the judge has himself authored any order or judgment in the same facts and circumstances during his tenure as the judge of any court below. It is here where Page A1 of the listing proforma in the PIL filed by Shyam Narayan Chouksey has become a WhatsApp favourite. It is a well-known fact now that during his tenure as a judge of the Madhya Pradesh High Court, Justice Dipak Misra had authored a judgment with Justice AK Srivastava on a PIL filed by Shyam Narayan Chouksey on exactly the same issue of demanding due respect to the National Anthem. Justice Dipak Misra had authored a detailed judgment giving similar guidelines and had gone to the extent of stop screening the movie Kabhi Khushi Kabhi Gham. The Supreme Court had to later on intervene and reverse the order partially allowing the movie to continue. The listing proforma in column 5 at Page A1 therefore, pointed it out carefully that this matter must not be listed before Justice Dipak Misra and categorically wrote the reason as - “Because he had passed the order in the matter when his lordship was Judge, High Court of M.P at Jabalpur”. Though the petitioner was fair in his approach by stating reasons for exclusion of a judge, the matter was posted before Justice Dipak Misra, owing to the fault of Supreme Court registry. There is another coincidence in the National Anthem case. On 18.03.1998, former Chief Justice of India Justice Ranganath Mishra had written a letter requesting Supreme Court to issue necessary directions to the State to educate its citizens in the matter of fundamental rights. The court, on his request, referred the matter to a 5-judge bench as correctness of Bijoe Emmanuel v State of Kerala was doubted, which was returned to a 3-judge bench. [(2003) 7 SCC 136 and (2003) 7 SCC 137]. Finally in Ranganath Mishra vs Union of India [(2003) 7 SCC 133], the Supreme Court directed the Central government to look into the recommendations made by the Justice Verma committee. Justice Dipak Misra is a nephew of Justice Rangnath Misra. The moot question going is as to how the matter got posted before Justice Dipak Misra, despite a statement in the listing performa for exclusion of the judge. It is pointed that the Supreme Court registry, which is otherwise very strict and punctual, has committed a mistake in posting matter before a judge, who had heard the similar matter in his capacity as high court judge. Another important aspect being highlighted by the lawyers is not making the States as parties, while passing such important directions of constitutional importance. The bench, speaking through Justice Dipak Misra, instead of issuing mandamus to the government, issued directions which are in the realm of legislature, to be implemented within 10 days. Yesterday, the same bench for the first time issued two modifications/clarifications in a petition filed by a film society triggering the modification process. Social media has taken up the task of posting pictures from cinema halls across the country showing some of the audience sitting and other standing while the National Anthem was being played. Nevertheless, the National Anthem order and the case is becoming more and more interesting.